Forget the ThunderCheese thing, these are my actual Pony OCs. A young Pegasus who lives in the Everfree Forest. She helps young ponies find their way if they are lost. 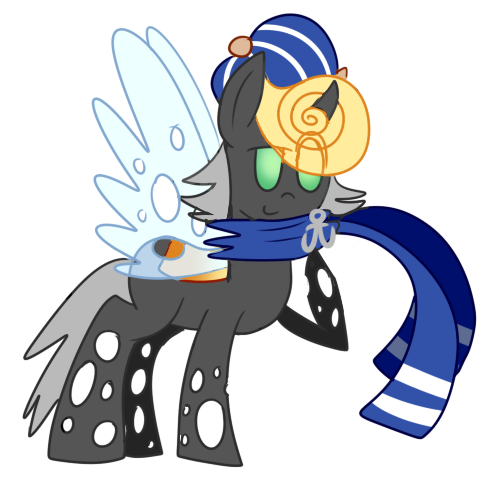 Midnight Lantern has been to many parts of Equestria, and especially loves visiting places at night. Though she hasn't been many places since she's been in charge of her little sister Autumn Mix. 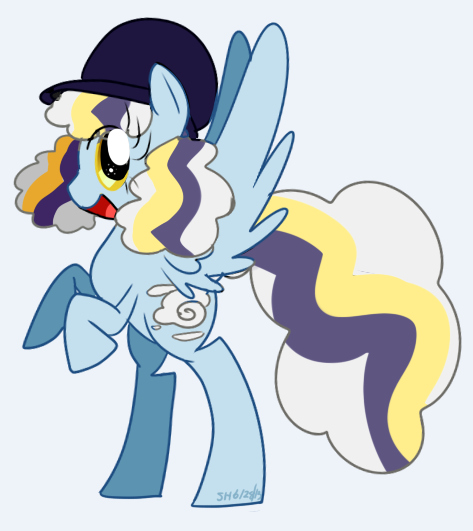 She's a kind, calm pony who love her sister and respects everypony who is good to her sister. Angler is an anglerfish/unicorn hybrid that roams in dark places deep in the oceans. She does not talk any form of language and just "roars". She pretty much acts like a anglerfish but will also attempt to eat anything she sees. When she was alive, she was a pony named Honey Hooves. She had died of old age and is now a ghost living in an abandoned mansion in Canterlot. She was energetic as a living pony but as a ghost pony she is lonely, but shy. She very rarely feels happy or mad. Most the time she feels sad and hopes for company. When she does see company, either she or the other pony gets scared and scurries away. Midnight Lantern's little sister. Since their parents died, they found themselves living in the Everfree forest. Autumn Mix looks up to her big sister, but wishes her sister was a unicorn too so she can teach her some magic. Autumn Mix is also lacking any other friends, since she's afraid fillies and colts would mock her for not knowing any magic. Midnight Lantern is also very, very protective of her sister too. Autumn Mix finds tranquility from her stressful life in Manehattan, where she explores the various events and shops. She also love traveling with her big sis when they do. Her talent is to make candy corn, but she hates this and wants to do more. Benny spent his childhood being taught that ponies are bad and to steal their love. Unlike the other young changelings, Benny could not quite grasp why. He never really encountered a pony. So why are they so bad? As he grew up, he realized he should not question the changeling way so openly. Though that did not stop him from frequently escaping his hive to exploring Equestria. He really took a liking to Ponyville. How the ponies lived out their lives so simply. He began researching and learning about pony culture and hasn't stopped since. She love being nice and making friends! ...And being a parody of the Core 7! She's so happy and cute it's sickening. 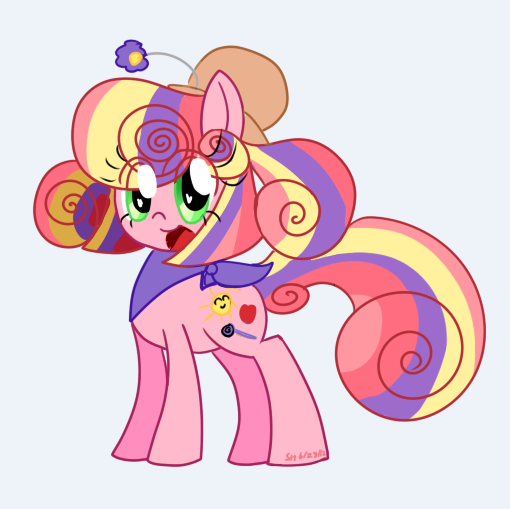 Thanks~ I really love hearing that ;v; I must confess that I went for a different feel from the usual pony type. Added a changeling character named Benny. Cool characters you have. Though how did you manage to thumbnail them? I can be found on DA as DEVIOUS-DISCORD-RP, FA as GIGA-XISBASS & Youtube as GIGAXISBASS. I have a tumblr, Fanfiction & FIMFiction as well. GIGA-XISBASS is what they're called. I'm quite the fan of crossovers. Harmony together Equestria forever.